Mother’s Delivery Kits connects birthing attendants with affordable, lifesaving supplies needed at childbirth and trains birthing attendants in safer delivery methods. With seed capital from USADF, Adepeju Jaiyeoba has built a social enterprise that has reached over 500,000 mothers with safer birthing supplies. Meet Adepeju Jaiyeoba, a Mandela Washington Fellow and entrepreneur building a business around maternal healthcare in Nigeria. After losing a close friend to childbirth, Adepeju founded Mother’s Delivery Kits in 2013 to provide safe and sterile birthing equipment to rural communities in Nigeria. Childbirth can be dangerous for women in Nigeria, where less than 20 percent of facilities are equipped with emergency obstetric care. An estimated 40,000 women die in childbirth in Nigeria each year, making Nigeria the second largest contributor to the global maternal mortality rate. This means that for every 100,000 live births in Nigeria, 814 women will die according to a recent UNICEF estimate, all a result of a lack of well-equipped health facilities, skilled birth attendants, or sterile supplies. Adepeju Jaiyeoba is a 2014 Mandela Washington Fellow and entrepreneur building a business around maternal healthcare in Nigeria. These are all things Adepeju wants to address in her business model. Mother’s Delivery Kits connects birthing attendants with affordable, lifesaving supplies needed at childbirth and trains birthing attendants in safer delivery methods. Each delivery kit, which costs an average of 1800 Nigerian naira or $5 dollars, comes equipped with a birthing pad, sterilized delivery tools, and misoprostol, a medication using to control hemorrhagic bleeding. 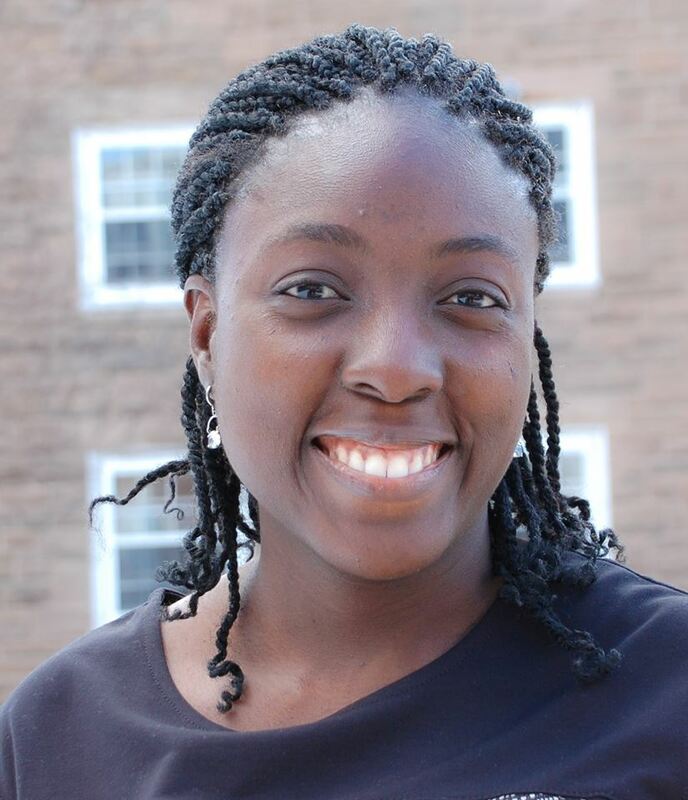 In 2013, Adepeju was awarded a grant from the U.S. African Development Foundation (USADF), providing her with $25,000 in seed capital and mentorship services to grow her business. Thanks to a partnership with the Citi Foundation, USADF awarded Adepeju an additional grant of $50,000 to expand her customer base and extend operations to where delivery kits were needed most: Boko Haram territory in northern Nigeria. With seed capital from USADF and the Citi Foundation, her business has doubled in size and has distributed kits to rural communities in 30 out of Nigeria’s 36 states. For a start-up enterprise working at the grassroots, Adepeju’s enterprise has reached over half a million mothers with safe delivery equipment. USADF recognizes the challenges facing the African continent today and co-creates solutions with young entrepreneurs like Adepeju to build stronger communities. We sat down with Adepeju, founder and CEO of Mother’s Delivery Kits, to find out more about how she is growing her business, creating jobs, and saving lives for mothers. 1. Adepeju, you started this business out of a personal experience with maternal mortality. Why did you decide to take a business approach to addressing safe childbirth in Nigeria? In 2011 I lost a close friend in childbirth, which inspired me to start my own business to act to address Nigeria’s high material mortality rate. This loss put a face behind every maternal and child health statistic deaths I have seen and it made me resolve to work in the field but approach with a business solution. I wanted to not only tackle these issues – lack of access to equipped facilities and sterile supplies, ill-trained birthing attendants – but create jobs in these rural communities across Nigeria. 2. You’ve sold hundreds of thousands of delivery kits and reached over 500,000 women with safer delivery methods. How do you reach so many women in rural areas while also keeping costs low? Mother’s Delivery Kits started with one goal – to produce affordable delivery kits to address the key causes of maternal mortality rate. With help from USADF, we’ve managed to keep costs down in each kit by streamlining operations and automating our production processes. With help from the second grant, we’ve widened our customer base in Nigeria’s northeast territories. Lastly, we currently employ over 150 women across birthing home in Nigeria to earn commission from distributing these birthing kits. 3. Nigeria has one of the world’s highest maternal mortality rates – one Nigerian woman dies every 13 minutes from preventable causes related to childbirth. How does Mother’s Delivery Kits attempt to address some of these issues? In Nigeria, the maternal and child health field is riddled with challenges ranging from skepticism of modern birthing techniques, to lack of education of birthing attendants, to a dearth of health care facilities, especially in rural areas. Mother’s Delivery Kits tries to address these challenges by arming birth attendants with not only basic tools to save lives, but also the necessary information required to make prompt decisions in the interest of a mother and her baby. We believe that when birth attendants know more, they can do more. We’ve designed the kit to deal with the two leading causes of maternal deaths in Nigeria – infection and postpartum bleeding. Each kit comes equipped with sterile supplies needed in a delivery, such as delivery mats, infant receivers, and scalpel blades. We’ve introduced the drug misoprostol, a community level intervention drug that can be used as a first line alternative for hemorrhaging. Mother’s Delivery Kits provides birthing kits for health centers, hospitals, university teaching hospitals, maternal and child health organizations and midwives. 4. Why as a young entrepreneur are you uniquely placed to tackle this challenge? As a woman from a family with four girls and one boy, the statistical odds of 1 in 13 women dying at childbirth are not in my favor. This brings the probability of death at childbirth closer to home and brings the need into focus. Also, as an entrepreneur who is looking at problems from the ‘out of the box’ perspective and, as a mother myself, I understand both the issues and the gaps in healthcare services. Today, thanks to life-saving drugs provided in Mother’s Delivery Kits, Temitope is alive and well with her baby. We hope to grow by taking on new communities, connecting more women to lifesaving supplies and bringing in more birth attendants into our network of trained attendants. And we’ve seen that this model can work – to date, we have reached over 500,000 mothers as well as impacted over 300 primary healthcare centers and 4,000 birthing homes. For example, I recently met a young mother name Temitope Julius in a village outside Lagos. She had recently given birth and during the delivery, she suffered from heavy postpartum bleeding. This bleeding was promptly controlled by the use of one of the drugs included in the kit, misoprostol. Today, Temitope is not a statistic but alive and well with her baby. 5. What do you value most about working with USADF as a partner? From the start, USADF has given us consistent support beyond just funding – they’ve provided mentorship, follow-on financing opportunities, and the right connections. The genuine interest USADF has in seeing impactful social venture grown, the consistent support they provide outside just funding, the availability and mentorship the staff provide and the encouragement to be the best you can be are some of the incredible value I get from working with USADF. The seed capital was very important for us at each and every stage we received funding. The first funding was instrumental to our full roll out as a commercial entity, helping to automate our production processes while the second grant is helping to widening our customer base especially in the northeast and supporting the introduction of misoprostol in our kit. We recently sold our 545,000th kit – this would not have been possible without the start-up support and capital from USADF. Adepeju Jaiyeoba is the founder and CEO of Mother’s Delivery Kits. For more information, click here.